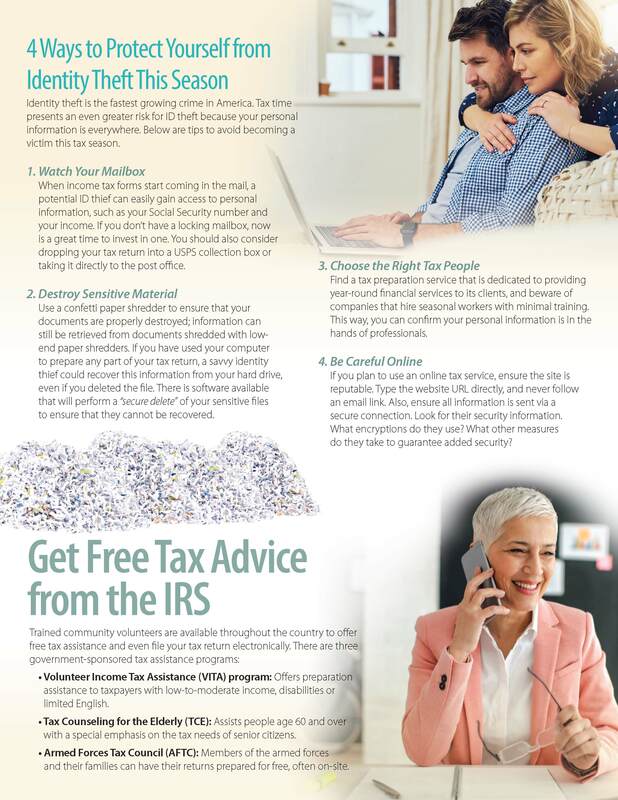 The information below is intended to prepare you for tax time. Page one provides a list of financial details you may need to gather ahead of time to make the process easier, as well as some tips to help you get your refund faster. Page two outlines steps to take to help you protect your identity from thieves who wish to gain access to your information.